The 30th edition of Southeast Asian Games consists of multiple games which will be hosted by the Philippines. The tournament begins on the 30th of November 2019 till 10th of December 2019. The opening ceremony will take place on the 30th day of November 2019. The host city for this tournament is the Philippines, Subic and Clark, and Manila. Around 11 countries will be participating in the 30th Southeast Asian games with the motto as “We win as one”. The closing ceremony will take place on the last day of the tournament that is on the 10th of December 2019. The venues for the tournament are National Athletics Stadium and Philippine Arena. Due to logistical and financial reason reasons the hosting country was changed from Brunei Darussalam to Philippine. 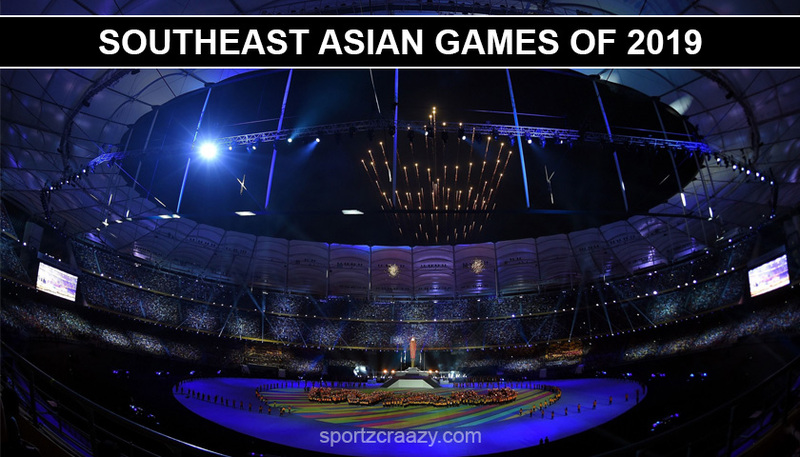 The Southeast Asian Games have the origin for the games of the Southeast Asian peninsula. According to a meeting by Japan, they agreed of having a sports organization and the event took place on 22nd of May in the year 1958. The founding members of the Southeast Asian Games include Malaya which is now known as Malaysia, Burma which is now known as Myanmar, Kampuchea which is now known as the Cambodia, Vietnam, and Thailand. On the month of June 1959, all the six countries decided to hold the games biennially. The first tournament started from 12th of December 1959 to 17th of December 1959 where 527 athletes participated. In the year of 1975, the Federation of this tournament included Indonesia, Philippines and Brunei. Later on in the year of 1979, the name of the tournament was changed to Southeast Asian Games. 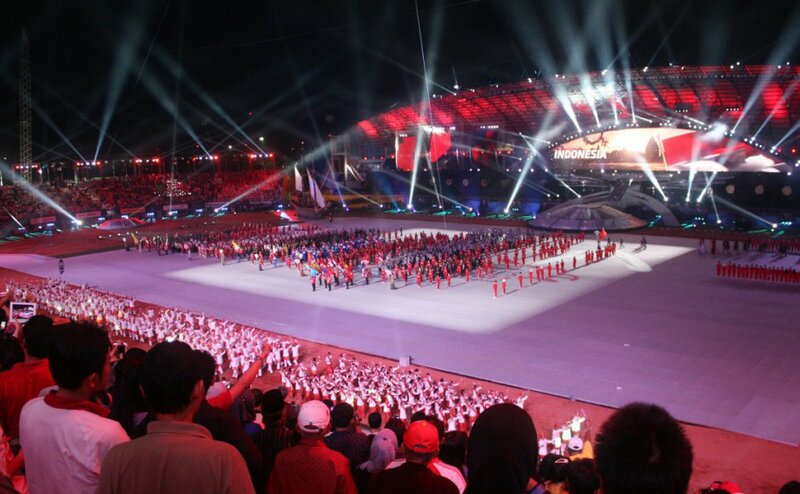 The year 2009 is said to be the first year where the hosting of the Southeast Asian Games took place by Laos. The commemoration of the 50 years of the Southeast Asian Games was also done in Vientiane, Laos. The 11 countries taking part in the Southeast Asian Games are Brunei, Indonesia, Cambodia, Myanmar, Laos, Singapore, Vietnam, Thailand, Philippines, Malaysia, and East Timor. 56 types of sports will be taking place on the tournament of 2019. Athletics, Arnis, Archery, Aquatics, Baseball, Badminton, Softball, Basketball, Billiards, Bowling, Boxing, Chess, Electronic sports, Dancesport, Cycling, Floorball, Football, Fencing, Golf, Equestrian, Gymnastic, Indoor hockey, Ice hockey, Ice skating, Ju-Jitsu, Judo, Kickboxing, Karate, Kurash, Muaythai, Lawn bowls, Pencak Silat, Obstacle course, Pentathlon, Petanque, Rugby sevens, Rowing, Sambo, Sailing, Shooting, Sepak takraw, Soft tennis, Skateboarding, Squash, Table tennis, Surfing, Tennis, Taekwondo, Triathlon, Traditional Boat race, Wushu, Weightlifting, Wrestling, Underwater hockey, Vovinam and Volleyball. Until the year 2018, the addition of different sports took place according to the NOCs of 13th of June 2018. For instating a particular sport to the list of the tournament, that sport must be played by a minimum of four nations. Later on, the same year that is on 2018, on 30th of September the NOCs of the Southeast Asian Games finalized all these 56 sports that will be played on the 30th Southeast Asian tournament taking place on the Philippines on 2019. The Southeast Asian tournament of 2019 is organizing the different structure for the games. For the preparation of games, a minimum of 3 meetings must take place. The first meeting took place 16 and 17th of 2018 in Shanghai. The National Sports Association of the Philippines was chosen to be the manager of the competition. So they were given the responsibility of the Southeast Asian Games venue, equipment, and logistics. There are three hubs which have been designated for the 30th Southeast Asian Games. Clark is the main hub where the construction is still going on. Development is going on the New Clark City’s Sports complex in Capas, Tarlac. Subic, Zambales whereas the third hub is the Metro Manila. The opening ceremony for the Southeast Asian tournament will take place on the Philippine Arena, situated in Bulacan whereas the closing ceremony will take place in the New Clark City. The mansion and Villas for the accommodation of the delegates will be constructed in the New Clark City. Previously these games were a successful event. Hope this year will also be an entertaining one for the spectators. The channels were live recording will be shown will be announced later before starting of the tournament. Beforehand there was enlisting of a total of 32 games which later changed to 56 games. So the numbers of games are more and the contestant is also more. Hope that we can watch an exciting competition. The Philippines are already making good arrangements for the Southeast Asian Games to make it a wonderful part this year also. Javelin Throw History, Rules, Technique and Dimensions.